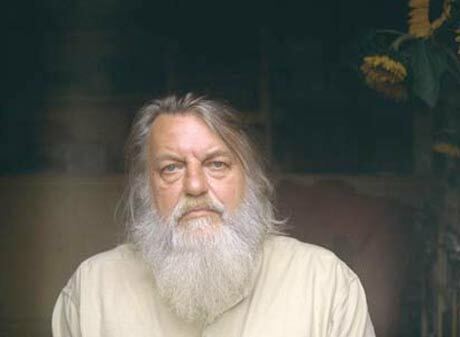 Back in 2008, Domino Records went on an extensive Robert Wyatt reissue campaign, putting a pile of the pop/jazz/folk/psych musician's albums back into the world (the next year, they re-released some of the reissues as a ten-disc box set). Well, there's always time for another reissue from the Soft Machine founder's extensive discography, and that time is almost here. Domino has announced a June 7 release date for their reissue of Wyatt's 2004 best-of compilation His Greatest Misses. The British label will be the first to release the compilation outside of Japan, where it was previously issued. Speaking of the record in a press release, Wyatt said, "A thoughtful chap in Japan brought these tunes together as a sort of canter around my back catalogue: a reminder or introduction. I'm grateful to Domino for giving it a run round the block over here. And blimey! My little drawings were done about sixty years ago.... how retrospective can you get?" Wyatt's most recent studio album was 2007's Comicopera. A full tracklisting for the Domino reissue of His Greatest Misses is below. Unfortunately, it looks as if this one is only being release in the UK. 4. "Free Will and Testament"
7. "Little Red Robin Hit The Road"
9. "At Last I Am Free"
11. "The Age of Self"